I’m shooting again. Relax, I’m talking about photography, not guns. You can blame my comeback to street/candid photography on David, an incredibly talented Python developer I worked a while ago. He’s an avid fan of Pentax Lumix and Leica gear. We’d often get bored waiting for business guys to decide what they wanted to do and we would talk about life, cameras, and photography. Turns out, we both like street-style photography. It didn’t take long for me to put a point-and-shoot in my bag, get on the Tube, and wait for something to happen. I was on my way to Russell Square when I spotted a woman who was so deeply immersed in whatever was going on her iPhone that she forgot about the whole world. I see dozens of people glued to their iPhones on the Tube every day, but this was different, this was an extra level of immersion. So I snapped a photo of her. And, as I was deleting images that were out of focus I realized I had something going on here. A beginning of something interesting. A photo project. But what was it about? Beauty. Suddenly the coffee tasted better, and I felt something I had not felt in a long time. That quick snap done with a cheap point-and-shoot was (to me) the best picture I had taken a few years. Yes, it was taken with a cheap point-and-shoot. I’m not one of those photographers arguing about camera specs or fighting for the perfect exposure. I am looking for beauty which is often found where there are a lot of imperfections and, unlike my former Nikon F4E-obsessed self, I am now very much into minimalistic setups, because I believe that having some reasonable limits helps create good art. Yes, good street-style photography can be good art, more on that later. My camera of choice for my first project in 20 years is a simple Nikon 1 J1. I would love to continue using my Canon A495, which takes good pictures when it can focus, but it missed far too many good shots. Yes, a cheap point-and-shoot can take great street-style pictures, if you are prepared for it to not be able to focus or select fast enough shutter release time. To be fair to my tiny Canon, it was given an impossible task considering its maximum sensitivity of ISO 1600 and a slow f/3.0 lens. I suspect the newer point-and-shoots with higher sensitivity (6400 or better) and faster lenses are more suited for capturing those fleeting moments I’m after, but the prices of Nikon 1 J1 kits have fallen below 200 GBP this year and it made more sense to me to go that route. Also, Canon insists on decorating their PowerShot cameras with shiny silver rings, which attract attention of the people you are trying to take pictures of. You can solve that with a little bit of isolation tape, but my Canon was still blue. My Nikon 1 J1 has had a couple of misses when I was still learning how to use it, but it’s been 100% accurate after the first day. It is slightly bigger than my Canon A495, but it’s black and has a very accurate and fast auto-focus system. It also has a 1-inch sensor, which is a noticeable improvement on a 1/1.23-inch sensor inside A495. Curiously, both sensors deliver 10 megapixels per frame, but you can certainly see the difference in image quality. It really is noticeable and a greater success rate of the Nikon 1 J1 hybrid autofocus makes me a very happy photographer. It is tempting to want to capture everything you see and therefore a zoom lens seems like an obvious choice. It is not. Street-style/candid photography, at least as I like to see it, is about capturing emotions, fleeting moments, something that is here one second and gone another. There is no time to focus, crop, or otherwise fiddle with the lenses. You try to frame your shot as best as you can, press the shutter release, and hope the camera captures what you want. There is no time to frame your perfect shot with a zoom lens. The moment your subject notices you, you have disturbed the ecosystem, tainted it. I am not saying you should not try to frame your shots, if you have the time, but in this day and age of sensors with 36 millions of pixels, you can afford to crop. For that reason, a lot of street photographers choose 24mm-35mm lenses or their equivalents (for cameras with sensors smaller than full-frame). Prime wide-angle lenses, especially those more expensive models, are usually faster (f-stop 0.95-3.0) giving you a fighting chance of taking a picture in poorly-lit bars, clubs, and other dark places. Yes, you will miss a number of shots you could have taken with a standard to telephoto lens, but if that’s want you want to do, you can always carry another camera in your bag. Another reason for not using a zoom lens is the size of it, always attracting attention and giving hints that you may be taking a pictures. For that reason, prime pancake lenses are a godsend for a photographer who wants to get close to the subject without disturbing the scene. 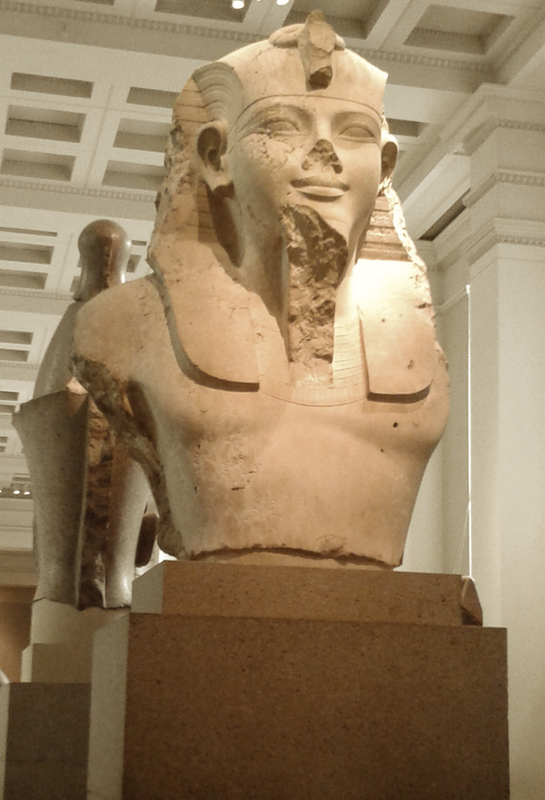 The British Museum is always a good place to visit, learn, and pick up some nice gifts. I went there a couple of weeks before Christmas not to look at the mummies, but to get some proper Christmas postcards. Those have become increasingly rare to find as the places you would usually expect to sell postcards insist on selling badly drawn cartoons of a fornicating Zanta Klauz. Or a drunk Rudolf the Randy-eer. Very funny. Even if you can find a decent design with a Christmas tree, it will be defaced with an idiotic “Season’s Greetings/Happy Winter Holidays” message. When you do find postcards with more traditional winter/Christmas designs, their designers will try to “help” you by printing ready made, “neutral” greetings right where you would otherwise want to write a few warm words. You might just as well “sign” them with a rubber stamp from a pre-school type lettering kit. I spent about 20 minutes browsing through the postcard stands at the British Museum shop before I eventually found one (yes, one!) set of postcards with a reproduction of an old painting that actually had something to do with Christmas, did not insult me or the recipient with a crappy design or toilet “humour”, did not wish the recipient “Happy Time Off in The Second Half of December When The H&C Line Is A Bit Less Packed”, and, had no “safe” greetings printed on the inside. Once I got my prize I started browsing through the books for sale and had to sadly conclude that the British Museum shop still does not sell David Lodge’s “The British Museum Is Falling Down “. What a pity. If you haven’t read it, you must do it as soon as possible. 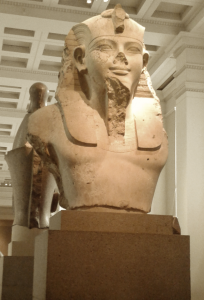 You will never think of or look at the British Museum the same way again, but you will smile more. Have you ever written a Fabric script that work wonderfully well with remote hosts only to realise that it has a problem running locally? If that is the case, then env.host is your friend. """get some info about your host"""
Apple Inc. Mission Statement for August 2013. Underpromise and Overdeliver. There’s been a lot of chatter recently about the latest Apple Inc.’s mission statement. It is supposed to be “lame” and not worthy of the company Apple Inc. is supposed to be. It simply states what Apple Inc. does and does not make vague promises that you can later make them accountable for and that is a good thing. Coming up with hippie claims like “don’t be evil” is easy, but sticking to them is hard. Saying, “we make computers, phones, and tablets” is being honest, a rare trait in many big business’ mission statements. Apple Inc. does not have anything to prove and they are wise to stick to stating the obvious. We all know they try to invent the future, they don’t need to state it. Imagine they had an ambitious mission statement, failed to live up to it, and later wanted to change it. The Wall Street banks, the blood-thirsty bloggers and journalists would rip them to pieces. Instead, they chose to underpromise and overdeliver. And that is a wise thing to do. I wish more companies did this the way Apple Inc. does it. It’s OK to Wait 20 Years Before Writing Your First Draft. You need to learn to listen and observe. It takes time. I published my first Medium.com post on Monday. I intend to write more, mostly about my way from an idea to the finished sci-fi novel. You’re welcome for the ride! My upcoming sci-fi book has a website, a mailing list, and a Twitter account! This is for true fans only and if you are one, subscribe! K. waved all messages away and got up from his seat. He had no desire to play tonight. What he had planned to do had to be done in private mode. He set his final status to On a business trip to Gibraltar and boarded the 18:46 fast train to Paddington. He was almost there. J.K. Rowling used a spreadsheet? Apparently, J.K. Rowling used a spreadsheet to plan her books. Wow. I knew a guy who ran his conference business using Gmail and Excel (no Word or PowerPoint), but this is way beyond cool.